A vibrant turquoise and silver leaf is softly curved to sit nicely against the wrist and pairs with silver plated soldered rolo chain. 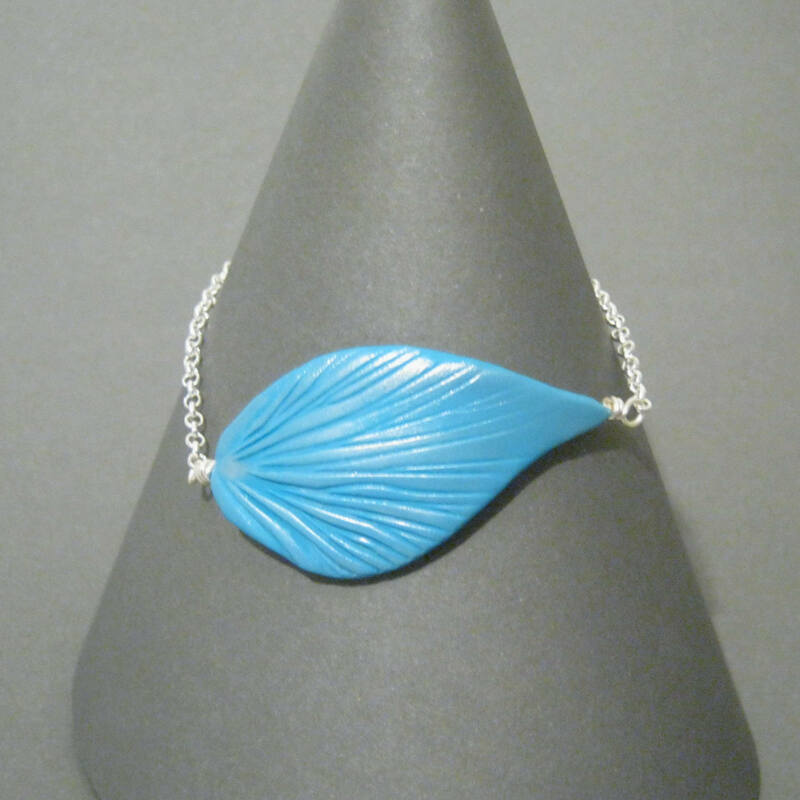 Each leaf is handcrafted from durable, light polymer clay. For a little more, choose the sterling silver and receive a free polishing cloth to keep your silver sparkling. Shown in turquoise but available in virtually any color to match your favorite outfit. *Sterling silver version uses oval chain.